إن فندق Paradise Palms Resort بموقعه الممتاز في شاطئ كيوارا هو نقطة انطلاق جيدة لنزهاتك في كيرنز. يحظى هذا الفندق ذو 4.5 نجمات بمكان ممتاز يسمح بالوصول إلى المعالم السياحية الأكبر في المدينة، فهو يبعد مسافة 23.0 Km عن صخب المدينة. 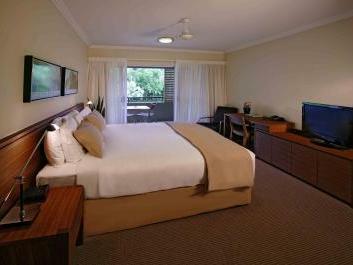 كما يمكن الوصول بسهولة إلى Paradise Palms Golf Club, Cairns Tropical Zoo, Cairns Night Zoo. إن الخدمات التي يقدمها Paradise Palms Resort تضمن للنزلاء إقامة مريحة. يقدم الفندق خدمة سيارات الأجرة, مرافق مخصصة لذوي الاحتياجات الخاصة, تسجيل وصول/خروج سريع, تخزين الأمتعة, واي فاي في المناطق العامة لضمان الراحة القصوى لضيوفه. تتضمن كل غرف النزلاء وسائل الراحة والتسلية المصممة خصيصاً لضمان الراحة القصوى للضيوف. كما أن مجموعة الخدمات الواسعة الموجودة في الفندق لضمان راحتك تترك لك الكثير من الخيارات لقضاء وقتك أثناء فترة إقامتك. مهما كانت أسبابك لزيارة كيرنز، فإن Paradise Palms Resort هو الخيار الأفضل لإقامة مثيرة وممتعة. ساعات عمل مكتب الاستقبال هي من الأحد إلى الخميس من 7 صباحًا إلى 9 مساءً وأيام الجمعة والسبت من 7 صباحًا إلى 11 مساءً. إذا كنت ستصل في غير هذه المواعيد، فيرجى إبلاغ المنتجع قبل تاريخ إقامتك للتأكد من دخولك إلى غرفتك فورًا. We really des appointmented with the hotel. 0 for cleanliness. The shower was in the poor condition. We have contacted the reception asking to fix it up but they didn’t do nothing . Never more!!! Level of service and facilities provided by this establishment was very disappointing. Reception hours change without notice, resort does not timely respond to queries, nightly rate as advertised through Agoda does not include basic housekeeping services (extra not disclosed charges), no guest laundry facilities. Better accommodation (location, quality of service, facilities) available in vicinity for rate charged. If you don’t intend to play golf there don’t bother. A nice place and the kids enjoyed the pools, mini golf, playground and jumping pillow. Room was spacious and clean. Was a nice resort. Only thing i found is it lacked a bit of atmosphere given it was a resort away from the main tourist hubs of FNQ. - but some would enjoy that fact. If you were looking for a place to stay with a large group it would be great!! Gold course was excellent! Quiet area with beautiful surrounds. Modern and spacious rooms. Close to Palm Cove and 20 minuets drive from Cairns we found it nice a d relaxing. Nice big room although depending on the rate paid you will need to pay extra to have the room serviced x towels were available from reception. From our book in until our book out i couldn't have asked for anything better. We had our grand kids with us for the first 5 days and were wondering if we could keep them occupied but that wasn't a problem, great. I took my golf clubs with me as I'd played golf there some 30 years ago and it was as good as the first time, even though my game has gotten worse lol.. All in all this is a great place to play and stay, especially with when you got the sprogs..... Staff A1 accommodation A1 amenities A1... GET THERE!!!!!!!! Great facility for reception. Rooms very clean & suitable. Price good. Meal availability good. Absolutely wonderful stay at this beautiful resort. The pool is spectacular and the grounds are just stunning. Rooms were spacious and comfortable- very very clean. Friendly staff and the good value buffet breakfast made the stay even better. Will definitely be back. Amazing brekkie. Overlooking a cascacing water feature. Golf course. Super comfy bed. Beautiful bath next to bedroom. Perfect for unwinding. Great facilities for everyone to enjoy. The onsite bar and restaurant is great for meals or a relaxing drink over looking the view of the pool and golf course. The pool is just divine, the water temp was so nice and warm that it made it hard for us to get out. The poolside BBQ also was great to have a family meal/party after a swim, with the children's play area. Oh far away so they could enjoy themselves too. Lastly the rooms were spacious and clean, all amenities including a full kitchen in our apartment. Can't wait to return and relax! You basically pay for the large expanse of well kept gardens, mountain view, one of the best kids play ground, 2 sets of swimming pools. The basic housekeeping is super poor ! We had to call the front desk staff and ask them to clean the balcony which was covered in cob webs on the fan, ceiling, chairs and the table !! The washing machine was leaking and the floors were wet due to this. The room we got was on the far end with extra windows to the bedroom which apparently were never opened. That was a shocker with lots of dirt and cob webs in the bedroom window. When the housekeeping staff came they said these were never opened and did not do a good job at all to clean it. Furnishing is good with modern items. The front desk staff were super helpful and friendly. Special mention to Cindy who worked the evening shift. Only stayed one night but was a good price, everything we requested was provided and the room was clean and spacious. As it was school holidays we could hear children and families around the pool from our room but it wasn't a problem. The bathroom was big and modern with a huge bath and the bed was comfortable. Didn't eat at the restaurant as we thought it was overpriced, went to a good Thai restaurant nearby at clifton beach.. We will stay again for the right price and would recommend to others. Great kids area, spacious rooms and comfy beds! Was a fantastic place to stay with 2 young active boys and hubby loved the golf! The rooms were very spacious and clean and the views were amazing. The staff were very helpful and always smiling. Will be looking to return and definitely recommend to others. The drinks, and that's about it! It was ok! Nothing special! A great spot if you want to be close to Cairns but want to explore north of Cairns. Loved it! Would definitely come back! 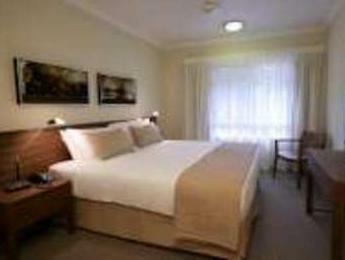 The rooms were clean and staff were friendly.. The facilities for the kids were great and pool was also heated so the kids didn't get cold. We stayed in a beautiful resort for such a great price!